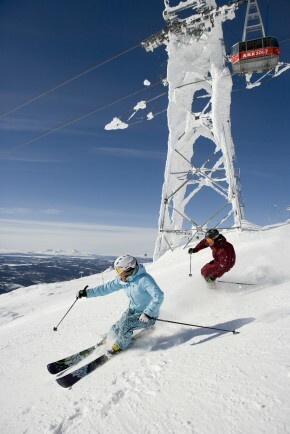 Åre is Scandinavia’s largest ski resort located in the central parts of Sweden close to the Norwegian border. 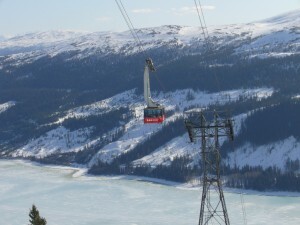 Åre is located at by a lake at the foot of a mountain and is the pivoting point of Swedish skiing. Åre regularly hosts skiing events like the World Cup and world championships. Åre is also the gateway to the Swedish mountains with vast inhabited areas. 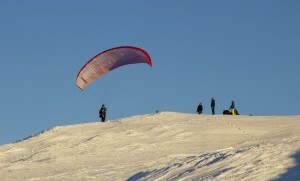 Besides skiing the winter offers activities like paragliding, snowmobile tours, hiking, heli-skiing, etc. Åre is the largest ski resort north of the Alps covering some 97 kilometres (60 miles) of ski trails. Åre has a much longer ski season than the rest of Europe, with guaranteed snow from the middle of December right through to Easter. 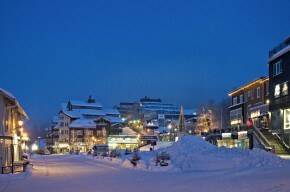 Åre is consists of 4 ski areas, Björnen, Åre village, Ullådalen and Tegefjäll/Duved. Björnen is the perfect place for families or beginners with endless, gently sloping blue runs. Åre village is where all the action happens both on the slopes and in the evening, with some of the most challenging skiing and some of Europe’s best after-ski. Ullådalen is the place to wind down and take it easy amongst the beautiful mountain scenery and babbling brooks. Tegefjäll/Duved are the local’s favourite with un-crowded lifts and relaxed tree-lined slopes. Much of the free-skiing takes place on Åreskutan itself, facing the village as well as on the back side where you can ski all the way down to the small village of Kall. From Kall you can hike back with a snowmobile. For those who want go further the region offers heli-skiing and randonne around Sylarna and Storulvån. There are airports both in Östersund (Åre Östersund Airport) approx. 80 km from Åre and in Trondheim (Værnes) approx. 130 km from Åre. There is a train station right at the heart of Åre. There are several night train options taking right up to the foot of the mountain in the morning. You can read more here. The most common way to get to Åre is by car. Easy and fast because of the fine roads. Furthermore, it might be nice to have movement when you are here. There are also several buses taking you to from Stockholm, Göteborg and other major Swedish cities directly to Åre. LadiesCamps' arrange free-skiing camps in Are. Photo: petritech displayed under CCPL. Paragliding on the top of the Are mountain. Photo: andersc displayed under CCPL. 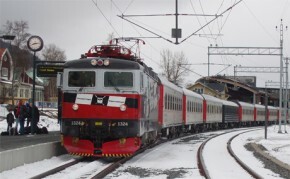 There is a train taking you right to the center of Åre.